DENGUE - the next Pandemic? With more than one-third of the world’s population living in areas at risk for transmission, dengue infection is a leading cause of illness and death in the tropics and subtropics. As many as 100 million people are infected yearly. Dengue is caused by any one of four related viruses transmitted by mosquitoes. There are not yet any vaccines to prevent infection with dengue virus (DENV) and the most effective protective measures are those that avoid mosquito bites. When infected, early recognition and prompt supportive treatment can substantially lower the risk of developing severe disease. Dengue has emerged as a worldwide problem only since the 1950s. Although dengue rarely occurs in the continental United States, it is endemic in Puerto Rico, and in many popular tourist destinations in Latin America and Southeast Asia; periodic outbreaks occur in Samoa and Guam. Dengue is transmitted by the bite of an Aedes mosquito infected with any one of the four dengue viruses. It occurs in tropical and sub-tropical areas of the world. Symptoms appear 3—14 days after the infective bite. Dengue fever is a febrile illness that affects infants, young children and adults. Symptoms range from a mild fever, to incapacitating high fever, with severe headache, pain behind the eyes, muscle and joint pain, and rash. There are no specific antiviral medicines for dengue. It is important to maintain hydration. Use of acetylsalicylic acid (e.g. aspirin) and non steroidal anti-inflammatory drugs (e.g. Ibuprofen) is not recommended. Dengue haemorrhagic fever (fever, abdominal pain, vomiting, bleeding) is a potentially lethal complication, affecting mainly children. Early clinical diagnosis and careful clinical management by experienced physicians and nurses increase survival of patients. Q&A: What is dengue and how is it treated? A. Apply repellent when you are going to be outdoors. Even if you don’t notice mosquitoes there is a good chance that they are around. Many of the mosquitoes that carry West Nile virus bite between dusk and dawn. If you are outdoors around these times of the day, it is especially important to apply repellent. In many parts of the country, there are mosquitoes that also bite during the day, and some of these mosquitoes have also been found to carry West Nile virus. A. In general you should re-apply repellent if you are being bitten by mosquitoes. Always follow the directions on the product you are using. Sweating, perspiration or getting wet may mean that you need to re-apply repellent more frequently. A. Female mosquitoes bite people and animals because they need the protein found in blood to help develop their eggs. Mosquitoes are attracted to people by skin odors and carbon dioxide from breath. The active ingredients in repellents make the person unattractive for feeding. Repellents do not kill mosquitoes. Repellents are effective only at short distances from the treated surface, so you may still see mosquitoes flying nearby. Q. Which mosquito repellents work best? A. CDC recommends using products that have been shown to work in scientific trials and that contain active ingredients which have been registered with the US Environmental Protection Agency (EPA) for use as insect repellents on skin or clothing. When EPA registers a repellent, they evaluate the product for efficacy and potential effects on human beings and the environment. EPA registration means that EPA does not expect a product, when used according to the instructions on the label, to cause unreasonable adverse effects to human health or the environment. Oil of lemon eucalyptus [active ingredient: p-menthane 3,8-diol (PMD)], a plant- based repellent, is also registered with EPA. In two recent scientific publications, when oil of lemon eucalyptus was tested against mosquitoes found in the US it provided protection similar to repellents with low concentrations of DEET. Q. How does the percentage of active ingredient in a product relate to the amount of protection it gives? • A product containing 23.8% DEET provided an average of 5 hours of protection from mosquito bites. • Products with 4.75% DEET were both able to provide roughly 1 and a half hour of protection. Q. Why does CDC recommend certain types of insect repellent? A. CDC recommends products containing active ingredients which have been registered with US Environmental Protection Agency (EPA) for use as insect repellents on skin or clothing. Q. How can you know which active ingredient a product contains? A. Certain products which contain permethrin are recommended for use on clothing, shoes, bed nets, and camping gear, and are registered with EPA for this use. Permethrin is highly effective as an insecticide and as a repellent. Permethrin-treated clothing repels and kills ticks, mosquitoes, and other arthropods and retains this effect after repeated laundering. The permethrin insecticide should be reapplied following the label instructions. Some commercial products are available pretreated with permethrin. Q. Where can I find these repellents? A. Most of these repellents are sold at multiple retail, discount and drug stores. A wider selection may be available at “outdoor” stores or in hunting and camping sections. At this time picaridin is not yet registered with the state pesticide programs in NY and CA, and thus is not available in those areas. Q. Where can I find more information about picaridin? Q. What are some general considerations to remember when using insect repellents? • Use enough repellent to cover exposed skin or clothing. Don't apply repellent to skin that is under clothing. Heavy application is not necessary to achieve protection. • Do not apply repellent to cuts, wounds, or irritated skin. • Do not spray aerosol or pump products in enclosed areas. • Do not spray aerosol or pump products directly to your face. Spray your hands and then rub them carefully over the face, avoiding eyes and mouth. Q. What are some reactions to be aware of when using insect repellents? A. Use of repellents products may cause skin reactions in rare cases. Most products also note that eye irritation can occur if product gets in the eye. If you suspect a reaction to a product, discontinue use, wash the treated skin, and call a poison control center. If product gets in the eyes flush with water and consult health care provider or poison control center. If you go to a doctor, take the product with you. Q. Can insect repellents be used on children? A. Repellent products must state any age restriction. If there is none, EPA has not required a restriction on the use of the product. In addition to EPA’s decisions about use of products on children, many consumers also look to the opinion of the American Academy of Pediatrics (AAP). The AAP does have an opinion on the use of DEET in children (see below). AAP has not yet issued specific recommendations or opinion concerning the use of picaridin or oil of lemon eucalyptus for children. CDC will post a link to such information from the Academy when/if it becomes available. Q. What guidelines are available for using a repellent on children? • When using repellent on a child, apply it to your own hands and then rub them on your child. Avoid children's eyes and mouth and use it sparingly around their ears. • Do not allow young children to apply insect repellent to themselves; have an adult do it for them. • Keep repellents out of reach of children. Q. How else can I protect children from mosquito bites? A. Using repellents on the skin is not the only way to avoid mosquito bites. Children (and adults) can wear clothing with long pants and long sleeves while outdoors. DEET or other repellents such as permethrin can also be applied to clothing (but is not registered for use on skin), as mosquitoes may bite through thin fabric. Q. Can insect repellents be used by pregnant or nursing women? A. Other than the routine precautions noted earlier, EPA does not recommend any additional precautions for using registered repellents on pregnant or lactating women. Consult your health care provider if you have questions. Q. Can I use an insect repellent and a product containing sunscreen at the same time? What are the recomendations for combination sunscreen/insect repellent products ? A. Yes. People can, and should, use both a sunscreen and an insect repellent when they are outdoors. Follow the instructions on the package for proper application of each product. In general, the recommendation is to apply sunscreen first, followed by repellent. As U.S. news media continue reporting on the spread of West Nile virus, including frequent official recommendations that residents in affected areas use insect repellents containing DEET, the following facts are offered for journalists’ use. We can suggest knowledgeable scientists and health care professionals for interviews. Additional information for journalists and consumers, including an educational brochure that provides tips for insect protection, is available at www.deetonline.org and by telephoning 1-888-NO BITES (888-662-4837). · DEET is the common name for N, N-diethyl-m-toluamide, which is the active ingredient in the most widely used insect repellents applied to the skin. · DEET-based products are marketed worldwide in a variety of concentrations and forms designed to protect consumers from biting insects and ticks, and the serious diseases they can carry. · All DEET-based products are carefully evaluated and registered by the U.S. Environmental Protection Agency before they are marketed in this country. The EPA has determined that the use of currently registered products containing DEET, when label directions are followed, which includes all concentrations, will not pose unreasonable risks or adverse effects to humans. · DEET disrupts the ability of biting insects to detect the source of carbon dioxide—the gas naturally given off by our skin and in our breath— which is what attracts mosquitoes and other insects to us. Insects aren’t killed—they just can’t locate their prey for a period of hours. · The World Health Organization, U.S. Army and the Centers for Disease Control and Prevention are among the many organizations that recommend using DEET-based repellents in affected areas. · DEET is used by approximately 30 percent of Americans annually, averaging seven to eight applications per person. This results in more than 400 million applications of DEET annually. · The most commonly reported adverse events, which happen rarely, are skin rashes in a very small percentage of the population. These resolve quickly when the product is washed from the skin. There is no relationship between the concentration of DEET in a product and the incidence of skin rash. · No other personal insect repellent has been tested as rigorously and extensively as DEET for effective consumer use. · No direct link between DEET and significant health symptoms has ever been scientifically established from the proper use of DEET repellent products. · Always follow labeling instructions. · Reapply when mosquitoes begin to be troublesome again. · Do not soak clothing or bedding in DEET-based repellents. · DEET products are available in a variety of concentrations. The more DEET in the product, the longer lasting the protection. · The EPA has noted that individuals of all ages (age 2 and up) can use DEET-based repellents with confidence in any concentration so long as label directions are followed. While the American Academy of Pediatrics has indicated that concentrations lower than 10% are preferable for children, there is no scientific evidence to suggest that this lower concentration is needed. DEET products today are intended for all family members over the age of 2. · Parents should apply DEET-based repellents to younger children (rather than allow them to do it themselves). It is advisable to put a small amount of DEET-based repellent on the parent’s hands then rub the hands on the face of the child (Never spray DEET onto anyone’s face; it can cause eye irritation). · DEET-based repellents should be applied to exposed, unbroken skin. These repellents are not needed underneath clothing. · DEET is a personal insect repellent, designed for human use. 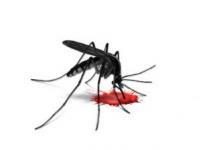 · DEET does not kill mosquitoes; it simply repels them. According to one expert, "They go into 'time out' for about three hours." · Pesticide products designed to kill mosquitoes and other insects should NEVER be applied to humans. The Consumer Specialty Products Association (www.cspa.org) represents the interests of the consumer specialty products industry, which provides households, institutions and industrial customers with products that help provide a cleaner and healthier environment.